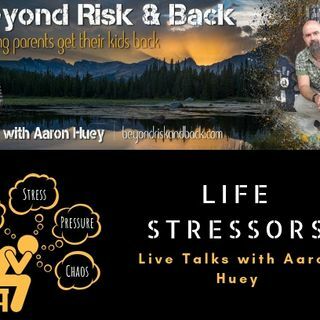 Host of Beyond Risk and Back podcast and founder of Fire Mountain Residential Treatment Center, Aaron Huey, speaks to parents at a middle school about how to help their kids with anxiety. It's hard to teach a child anything without modeling it themselves. What kids learn from their parents is what they do and what they don't do. You as a parent have to take a look at your own life. Working through your kid's anxiety with them helps them process the feelings, develop endurance, ... See More and not feel so alone.